Before people visit Niagara Falls they may not realize how powerful and beautiful it truly is. Those who have visited, however, will know only to well how much it can inspire and impress. Many famous people have come to Niagara and been blown away by it’s beauty; it’s led to a lot of quotes on the subject from some very well known names. We’ve put together the top 10 Niagara Falls Quotes, that encapsulate what this natural wonder is all about. “It’s Niagara Falls. It’s one of the most beautiful natural wonders in the world. Who wouldn’t want to walk across it?” Nik Wallenda, a man famed for daredevil stunts, said this about Niagara Falls when asked why he wanted to walk across on a tightrope. “No horse gets anywhere until he is harnessed. No stream or gas drives anything until it is confined. No Niagara is ever turned into light and power until it is tunneled. No life ever grows great until it is focused, dedicated, disciplined.” This quote came from Harry Emerson Fosdick, an American pastor who had a way with words. His mention of Niagara is in reference to the power stations which are run by water from the falls. 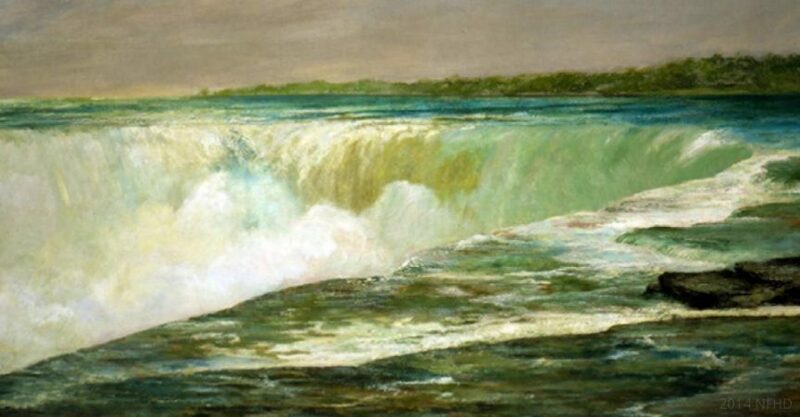 “At last, fortissimo!” This was said upon visiting Niagara Falls, by Austrian composer Gustav Mahler. A fortissimo is a passage in music which is marked to be played very loudly; therefore we can only assume he was referring to the loud rush of the falls themselves. “It seems that I have always been ahead of my time. I had to wait nineteen years before Niagara was harnessed by my system, fifteen years before the basic inventions for wireless which I gave to the world in 1893 were applied universally.” Nikola Tesla said this, upon discussing the uses for his inventions. It took 19 years after he created a way for power to be harnessed by Niagara Falls, for it to be put into action. “Miss Farrell has a voice like some unparalleled phenomenon of nature. She is to singers what Niagara is to waterfalls.” Said by Alfred Frankenstein, a music and art critic in the 1900s. The lady he is referring to is Eileen Farrell who was one of the finest soprano singers to have lived; we can only assume he means that Niagara is one of the finest waterfalls then, too. “Their roar is around me. I am on the brink Of the great waters—and their anthem voice Goes up amid the rainbow and the mist.” This is a tiny extract taken from the 1839 poem, Niagara, written by Grenville Mellen. It perfectly encapsulates the feeling you get whilst standing on Niagara Falls. “From a drop of water a logician could infer the possibility of an Atlantic or a Niagara without having seen or heard of one or the other.” Arthur Conan Doyle, writer of Sherlock Holmes, was known for his enigmatic quotes, this being one of them. It makes sense, but only if you read it back several times. “It is with roses and locomotives (not to mention acrobats Spring electricity Coney Island the 4th of July the eyes of mice and Niagara Falls) that my ”poems” are competing.” E.E Cummings, an American poet in the 19th Century, had this quote about Niagara Falls. Here he talks about all of the things that have inspired his poetry; some of them are rather strange. “I have gone to Niagara-on-the-Lake. You know, Niagara Falls in Canada. It’s this cute little quaint town, and it’s just warm, and everyone is so nice.” Nicole Anderson, a young American actress, had this to say about visiting Niagara Falls. It’s true, everybody is so very nice! “You might as well try and dam Niagara Falls with toothpicks as to stop the reform wave sweeping our land.” Ending with a bit of humour, is this quote from Billy Sunday; ex-athlete and one of America’s most influential evangelists. Next time you visit Niagara Falls, see what words first spring to mind for you. Who knows, they could become a well-known quote!